Is Obama on the Naughty List? When you live in DC, you just have to see the White House. Especially when it’s all gussied up for the holidays. We waited months for our background checks to clear and to be assigned a date in December. It was a magical morning. 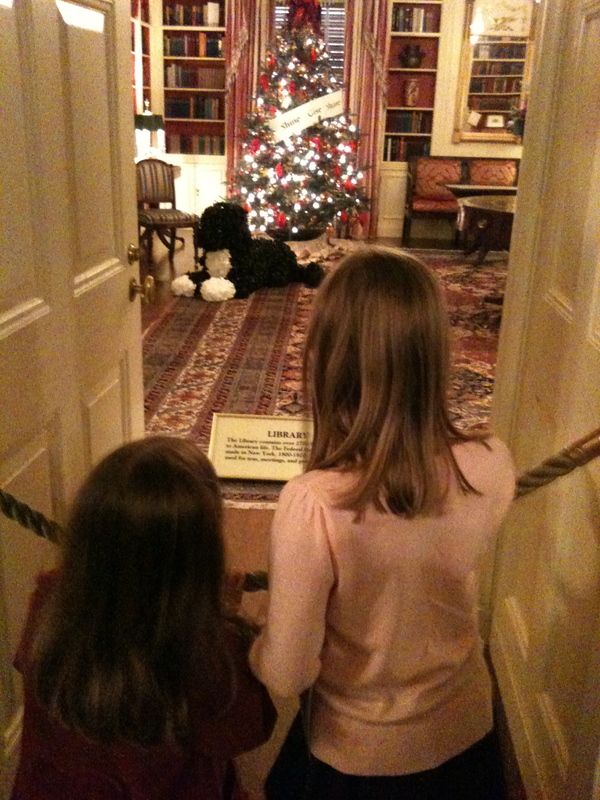 There was a choir singing Christmas carols as we toured the decorated rooms and peered over the velvet ropes into history. 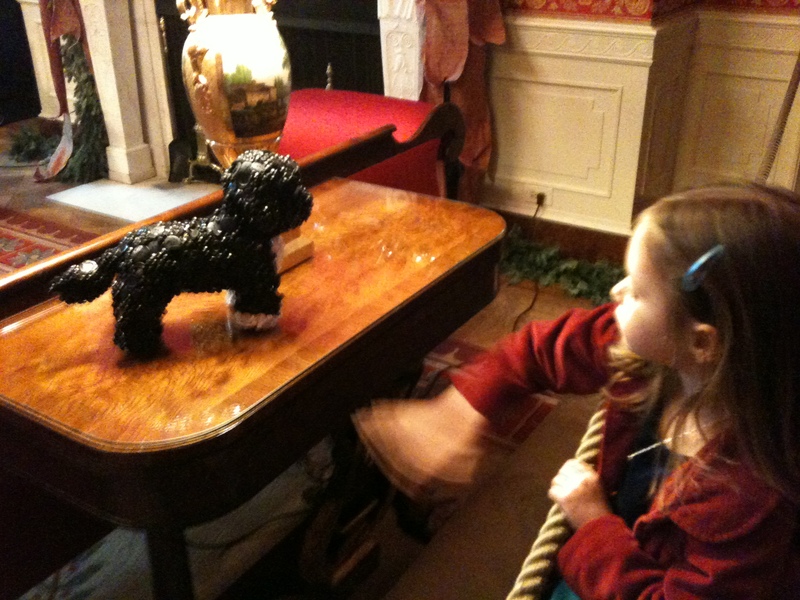 This entry was posted in Antics and Adventures and tagged Bo, Christmas carols, Obama, piperism, presents, White House by melissa.scholes.young. Bookmark the permalink. Love it, Christine. I’ll try to write more. Maybe I’ll have to quit my day job.